FRIDTJOF NANSEN, Norway’s greatest explorer, humanitarian and winner of the 1922 Nobel Peace Prize, met the writer BRENDA UELAND in New York City in 1929. He was 67 and she was 37. They had a brief love affair and a year long correspondence until his death. In his letters (hers to him are lost), Nansen bares himself body and soul. He reflects on his “creed,” his marriages to Eva and Sigrun, his children, his relationships with other women, his thoughts on jealousy and possessiveness, his regrets, his love for and need to be in the wilderness, his work in Armenia, his plans to traverse the North Pole in the Graf Zeppelin, his sense of duty and frustration with politics, and many other matters. Every letter is filled with his ardor for her. Available for the first time, Nansen’s letters are some of the most passionate, candid and eloquent in the English language. His letters are complemented by a sampling of Ueland’s published work and unpublished diaries. 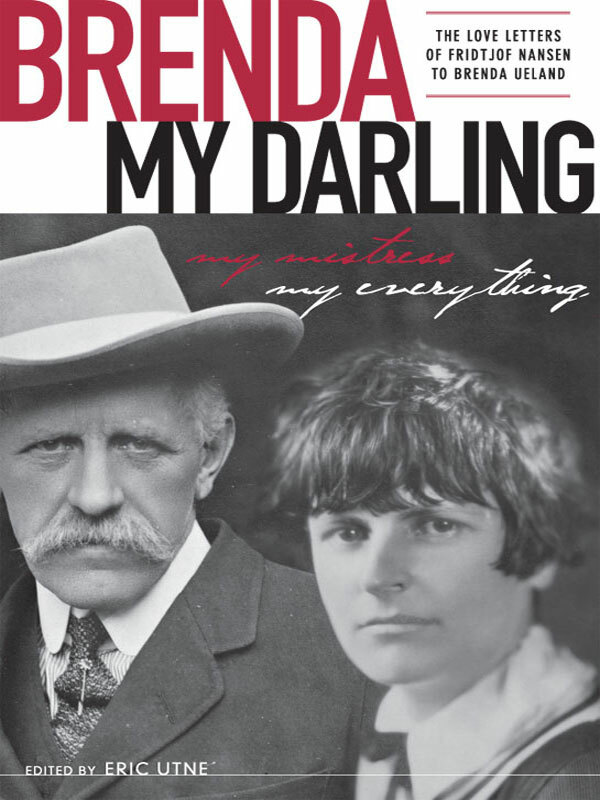 Brenda My Darling offers profound insight into the lives of two extraordinary individuals. You can purchase the book online from Smashwords in multiple eBook formats at http://www.smashwords.com/books/view/95516.